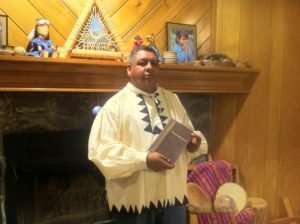 My Experience with the Tarahumara Indians of Mexico | Get the Word Out! My first mission trip to the “third world” was in 1991 with Black Buffalo Ministries. Our destination was Creel, Mexico, and two weeks later, the impact of this poverty-stricken people and the uniqueness of the Tarahumara were forever lodged in my soul. Back at home, I longed to return to the Sierra Madre’s, but personal circumstances changed drastically, and all my hope for future interaction with the Tarahumara was gone. One specific event from that mission trip stands out in my memory. I was carrying a 50 pound bag of dried corn on my back from a warehouse to our bus in preparation for a food and clothing distribution to a Tarahumara village. Out of the corner of my eye, I noticed movement behind me. Turning around, I saw a woman stooped over and picking up individual kernels of corn which dropped from a tiny hole in my sack. As she placed each kernel in the pocket of her skirt, the magnitude of her hunger struck me with a force from which I have never recovered … thankfully. 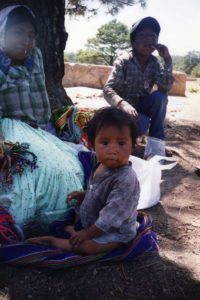 Since the early 90’s, the general health of the Tarahumara has improved drastically, yet the need remains extreme. Fast forward to 2008 when one of my intercessors told me that she believed the Lord would begin sending me to Mexico to teach the Word. I had not traveled to Mexico in 17 years, and I had no connections there. Just days after this word from my intercessor, my first invitation to Mexico came from a YWAM (Youth With a Mission) base leader who was a student in the YWAM Denver School of Worship where I was teaching. One thing led to another and soon I was traveling to Mexico several times each year! You can imagine my delight when I was invited by YWAM to teach a Discipleship Training School (DTS) in – you guessed it – Creel, Mexico! 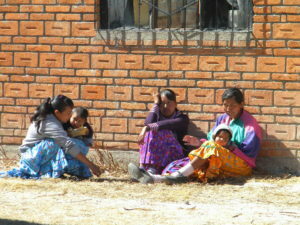 There were a few Tarahumara students in that school, and I found myself excitedly reliving much of the 1991 trip. 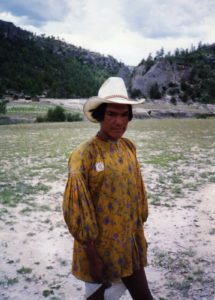 My translator was an American woman who was married to a Tarahumara; his primary ministry was translating the Bible for his people! My genuine fascination with his culture as well as his work prompted many personal conversations, and we became good friends. The last time I taught at the YWAM Creel base, I had the honor of presenting a Walk Thru the Bible Old Testament seminar. The class consisted of 35 adults from 4 different nations – Mexico, U.S., The Netherlands, Costa Rica and Germany – as well as 8 Tarahumara toddlers running around! Thirty of the thirty-five were Tarahumara church leaders! I taught the seminar 4 hours each day for 4 days, with translation into Spanish. Literacy in the group ranged from college graduates to illiterate Tara’s. Some of the students understood English only, others only Spanish, and a few, neither! Culturally, the Tarahumara are not a demonstrative people, so when I saw the first smile, I was elated! As each day passed, more and more students were openly participating with smiles, and an occasional chuckle; at times the men even volunteered a response or a question, or offered to lead the group through the hand signs! By the end of the seminar, every person, every age, regardless of language, culture, education or race was in a circle doing all the hand signs with smiles on their beautiful faces! It was one of the most rewarding teaching experiences of my 35+ year career!